Another one of those work swings snuck up on me. I'm basically doing two jobs right now, and a whole lot of travel to Michigan, and neither of those things are good for blogging or riding. 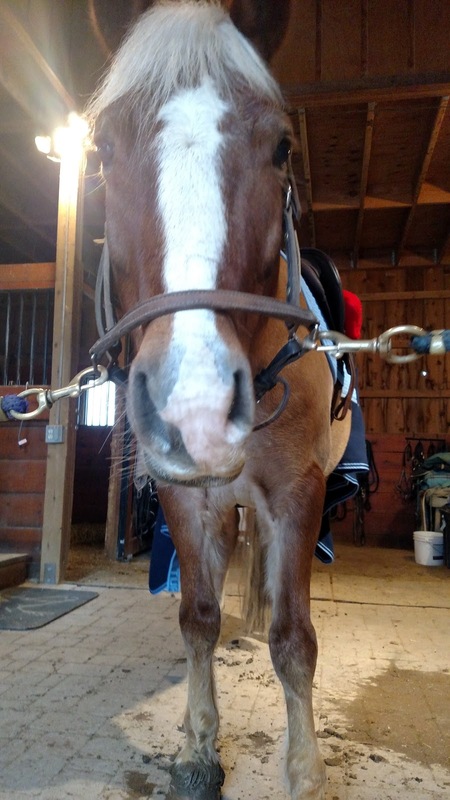 But in the meantime, Connor is getting both my lesson slots and my training ride slots as training rides, and although I am only riding once or twice a week right now (sigh), when I get on, things feel good. I can always tell when my trainer has been on him. He feels way more sensitive to the aids, which is highlighted when I apply my clumsy ones. Hopefully this wave of activity passes and I can get back on a schedule soon! This is hilarious- I did a post with the same title! Lol! Too funny. Great minds! Life can be such a juggle!! Hope things calm down for you soon.